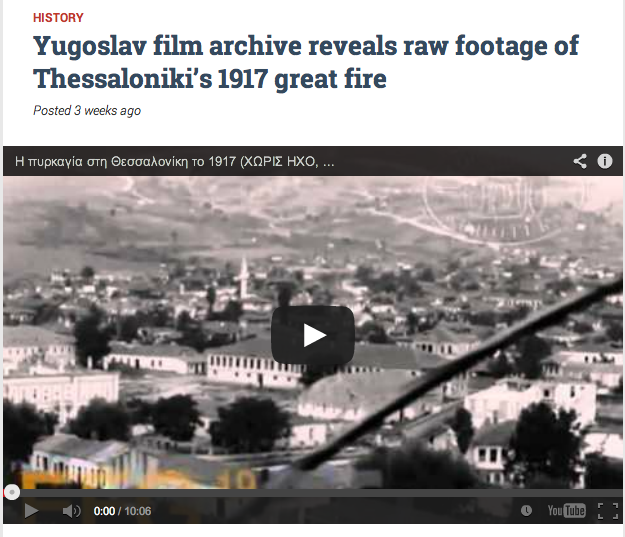 "Due to one French soldier lack of attention on the 18th August 1917 there was a great fire in Thessaloniki which destroyed two thirds of the city, leaving more than 70,000 homeless , a great number of them in the Turkish and Jewish quarters of the city. The fire burned for 32 hours and destroyed 9,500 houses within 1 square kilometer. Half the Jewish population emigrated as their livelihoods were gone."